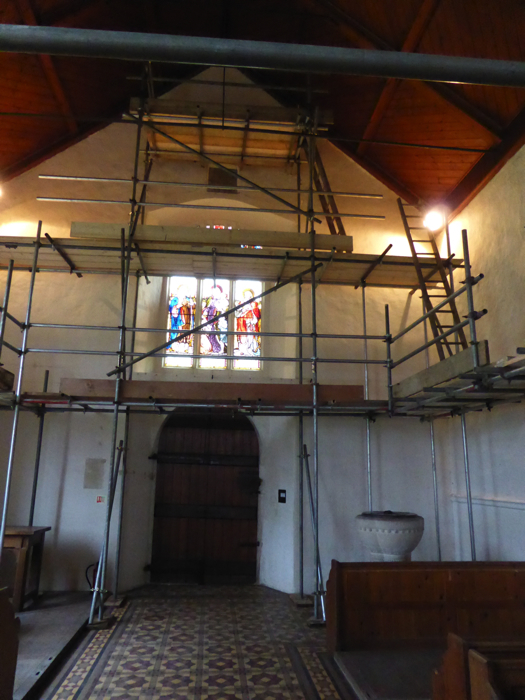 The Help Holme Church Group was set up in the early nineties as a result of the church needing repairs to the vestry roof. The inaugural meeting was held on 16th November, 1992 and there were just four ladies present. 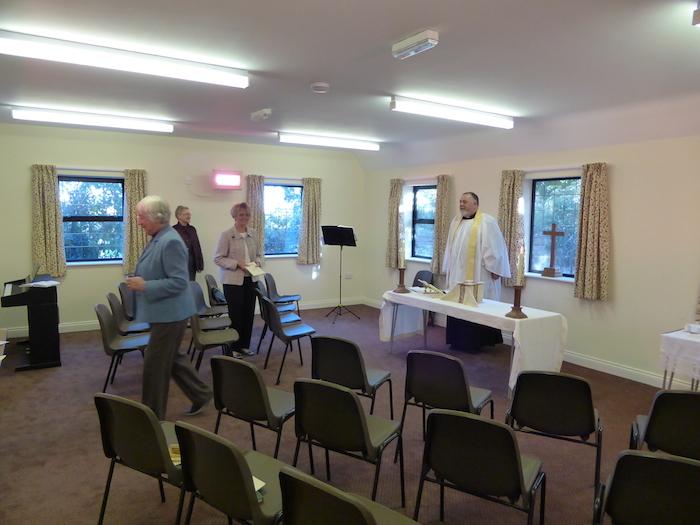 It was agreed that the aims and objectives of the Group would be to raise money to maintain, repair and replace the general fabric of the church and also to encourage a greater village 'togetherness'. In 2019 there are about twenty members in the Group and meetings are held every month except August. New members are always most welcome - just turn up at the next meeting! Since it was founded the Group has given to St. Mary's, Holme-next-the-Sea about £63,500 to fund a wide range of projects. 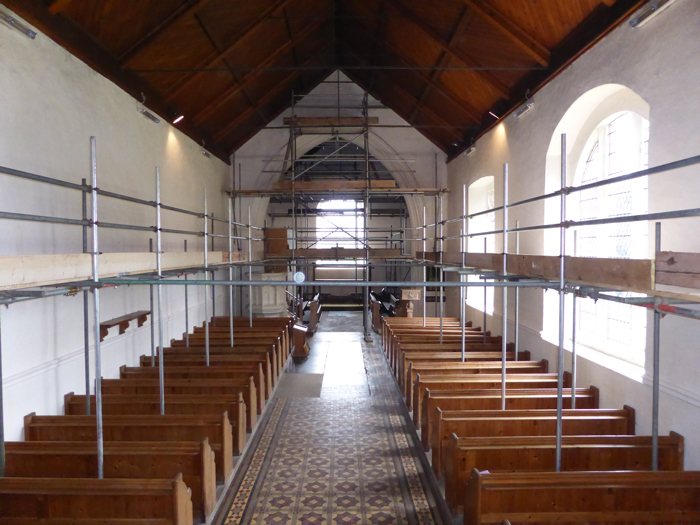 Money has been used to re-wire the church, renew rendering in some areas, and to provide an audio system. Purchases have included hymn books, kneelers, Christmas tree decorations and a vacuum cleaner. 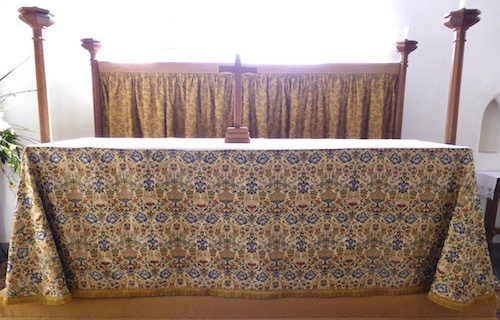 The Help Holme Church Group has donated a beautiful new frontal for the altar in St. Mary's. 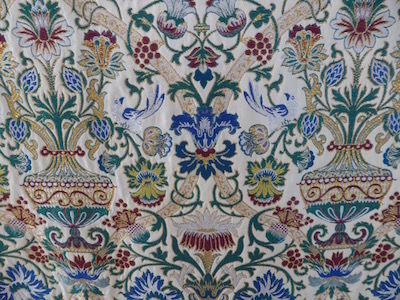 The cloth used is a high grade material with lots of gold thread woven into the fabric. The new altar frontal was dedicated and blessed by the Rector the Revd. Susan Bowden-Pickstock at a special Songs of Praise service on Sunday 25th September, 2016. Revd. Susan also dedicated and blessed the gold curtain to the rear of the altar which had been donated in 2013 by Jan and Tony Foster, members of the Help Holme Church Group, to celebrate their Golden Wedding Anniversary . 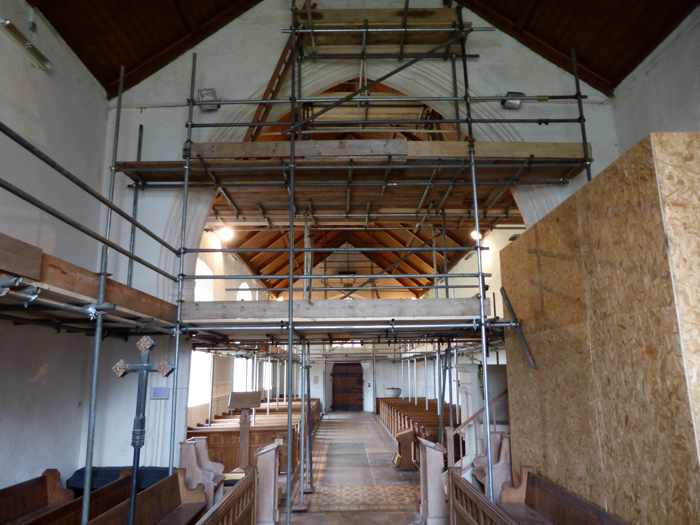 in October, 2013 the Help Holme Church Group funded the decoration of the inside of the church and Paul Reynolds, the PCC's Fabric Officer organised and scheduled the work. 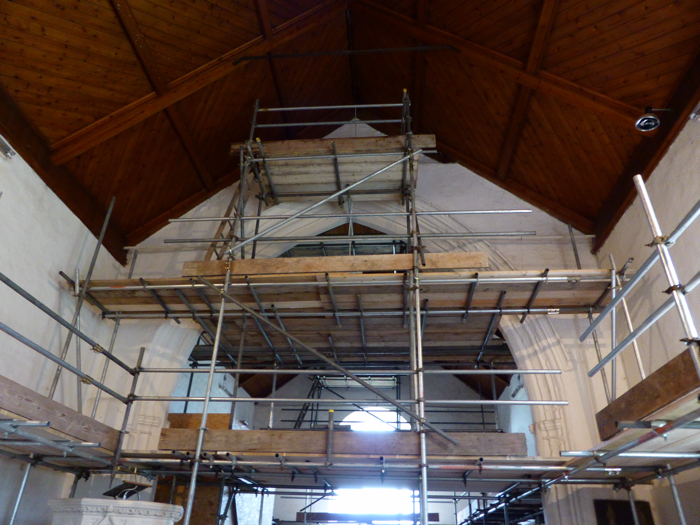 The job required scaffolding to be installed in the the whole interior of the church - additionally the organ needed to be boxed in completely to ensure its safety during the painting. 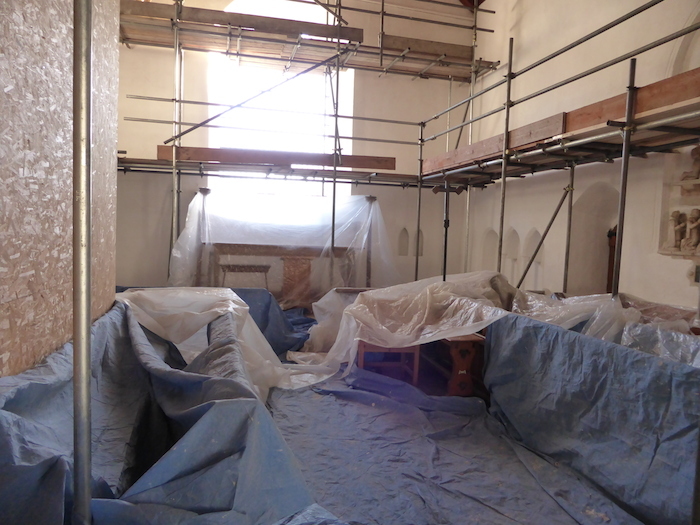 Members of the Group helped clear the church and move some of the furniture to a safe place. 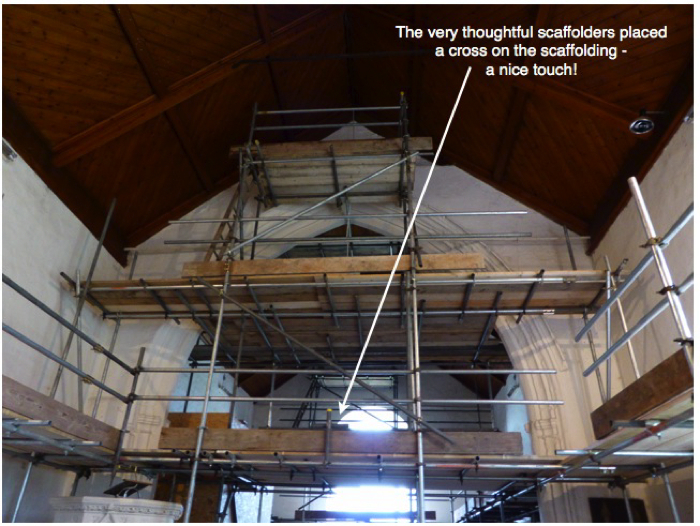 These photos show the scaffolding and will be updated to show the finished result! 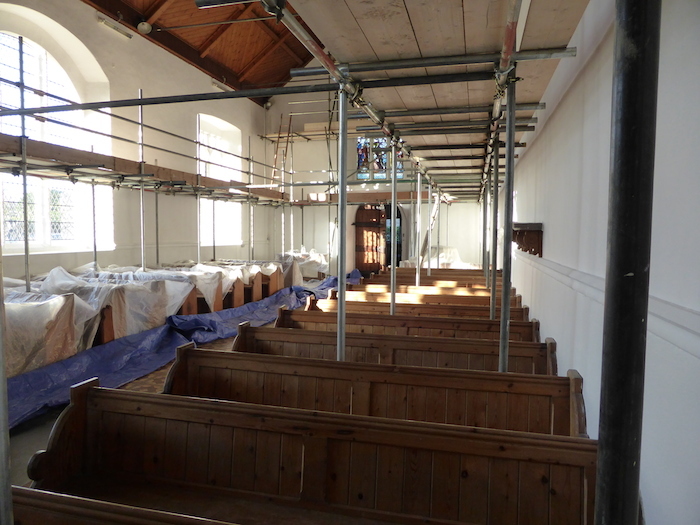 Previously the Group funded the refurbishment of the Vestry. 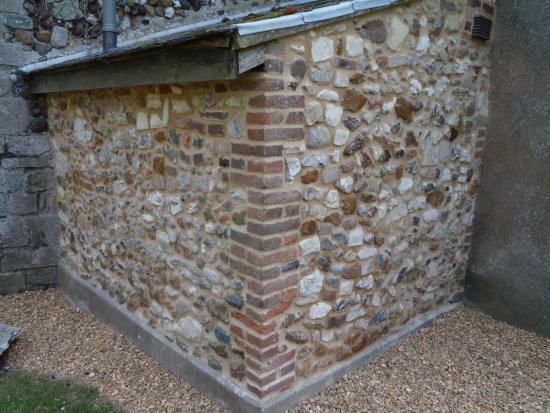 The work first started with underpinning the walls to rectify some subsidence which had led to cracks in the walls. In July, 2010 work was completed to repair parts of the north wall of the church. Areas of the wall at the rear of the newly built toilet and nearby were looking rather sad due to weathering and general erosion caused by old age. 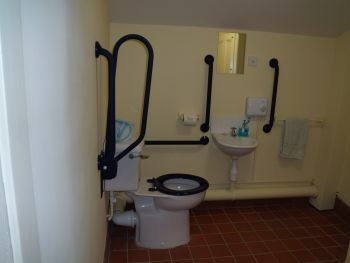 The Group has funded this work and, as you can see, the job was completed with sensitivity to closely match the adjacent walls. 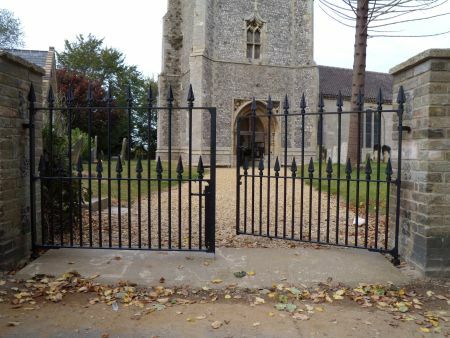 Another project completed in early 2010 was the refurbishment and re-hanging of the main gates to the Church path. The hinges on the gates had to be replaced with more substantial fittings to take the weight of the very heavy gates. Additionally, the two pillars either side of the gates had to be partially rebuilt. We now have a pair of very smart gates which can be opened and closed easily - bliss! 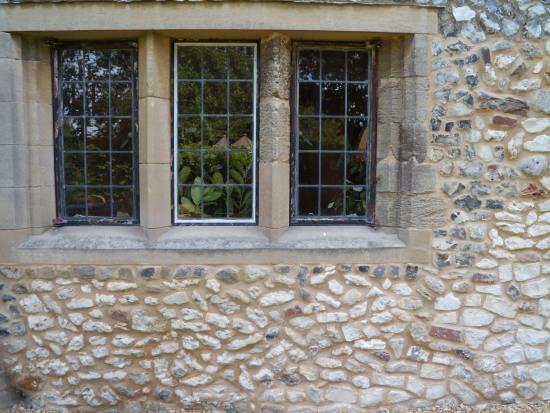 Other major projects to receive money from the group have been the installation of heaters and the replacement of the three south side windows. 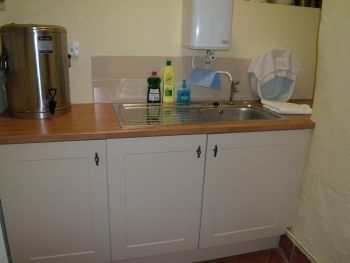 Another project was completed in 2009 when the Group funded all of the building work to provide toilet and kitchenette facilities for the church. The Group runs the 100+ Club to raise money. Shares are sold at £12 each per year and there is a monthly draw with four prizes. The winners are published each month on this page as well as in the parish magazine Link. 1st prize - £30 J. Johnson. 2nd prize - £20 J. Loversidge. 3rd prize - £15 G. Hewerdine. 4th prize - £10 J. Parfitt. 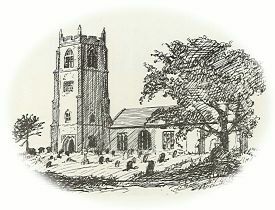 To purchase shares in the Help Holme Church Group 100+ please email 100+ Club with your contact details. Your support would be very much appreciated. Thank you! 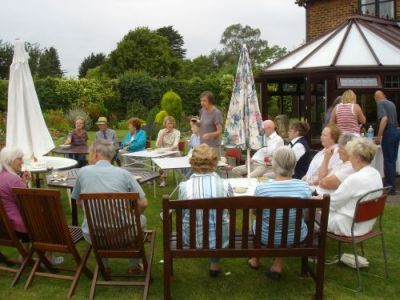 The most important fund-raising event of the year is the Open Gardens day when everyone pitches in and, with the help of lots of friends and relatives, the village is host to hundreds of visitors who come to enjoy looking around the gardens which have been opened to the public and to enjoy the refreshments provided in the Village Hall. hhcg@holme-next-the-sea.co.uk You do not have to be a church goer to enjoy the company of other villagers and get involved with much of what is going on in the village. On Thursday 18th August, the Group arrange a 'surprise' afternoon party, in the Meeting Room of the Village Hall, to thank John Loversidge for organising the Group's annual Open Gardens day. Janet and John arrived thinking they were attending a birthday celebration and were amazed to see so many of the Group ready to welcome them! The event proved to be most successful and our thanks go to Shirley for arranging the 'do' and to all those who contributed food and drink. Ann took the pictures you see in the slideshow below (which is why, unsurprisingly, she isn't in any of them...). If you want to linger on a picture just hover your mouse pointer over the thumbnail.